Much has happened to Carlos Kalmar since he was last in town, conducting the Grant Park Orchestra last summer as he has for well over a decade. To begin with, Kalmar made his Carnegie Hall debut last month with “his other orchestra,” the Oregon Symphony, absolutely wowing even the most hardened New York critics. 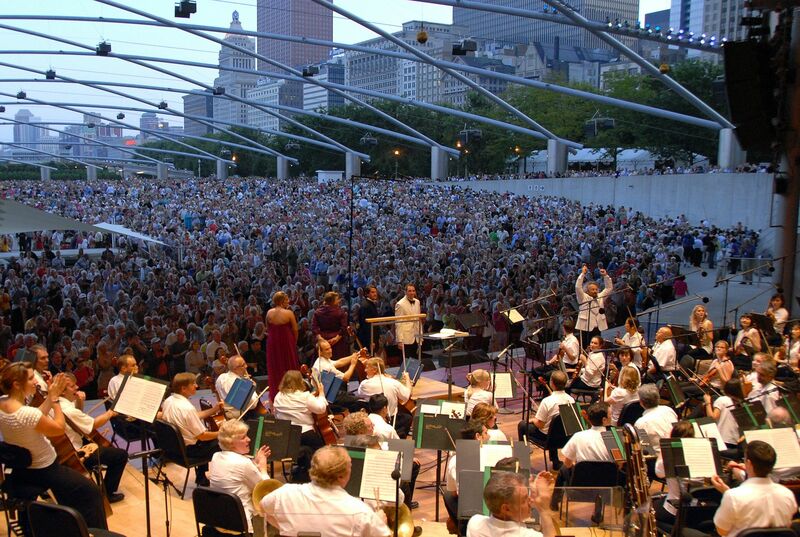 The other good news both for Kalmar and Chicago is last month’s Grant Park Music Festival announcement that Kalmar’s contract as principal conductor of the Grant Park Orchestra has been extended for five years. Along with that announcement came the additional news that Kalmar has also been appointed the Grant Park Music Festival’s artistic director. The retention and expansion of Kalmar’s role is a welcome and much needed sign of stability following a period of uncertainty set in motion by the sudden departure of Elizabeth Hurley as the Grant Park Music Festival’s executive director last fall, after only a single season on the job. It also follows the departure of longtime commissioner of cultural affairs Lois Weisberg, who retired in protest in January after the dismantling of the Department of Cultural Affairs that she ran for two decades and the merging of its remnants with the Mayor’s Office of Special Events. As if all of that were not enough, Mayor Richard M. Daley subsequently announced he would not be seeking another term after a twenty-two-year stint in that job. Kalmar notes that he will be interviewing three candidates for executive director while he is in town. Speculation had been that Hurley’s departure was influenced by cuts and reductive reorganizing across the city’s cultural programs, none of which have as yet directly impacted the Grant Park Music Festival which also has a strong base of corporate and community support that is said to fund half of the expenses of the festival. Still, with the former mayor having sought to privatize the city’s lakefront festivals, there was concern that the financial half of the Grant Park Music Festival that is supported by the city could be adversely affected. While Kalmar’s new title of artistic director as well as his long tenure as principal conductor solidifies and expands his position at the festival, he acknowledges that the two titles together are the virtual equivalent of his position with the Oregon Symphony, i.e., music director. “What this means is that you are responsible for the artistic direction of an orchestra in every respect,” says Kalmar. Palermo was actually the third innovative impresario to break the mold of the artistic director position, beginning with pianist and manager Edward Gordon in 1958. Gordon set new professional standards for the festival and went on to the Ravinia Festival a decade later where his visionary leadership included the discovery of a young James Levine. Steven Ovitsky, who was artistic director from 1979 to 1991, pioneered the festival emphasis on off-the-beaten-path programming and commissioning new works. Now, Kalmar is once again breaking the mold by being the first conductor to actually hold the post and doing so at a time when his reputation is hotter than ever. But it was Palermo, artistic director of the Grant Park Music Festival for fourteen years before he left it to become president and CEO of the Colorado Symphony Orchestra in 2009, who brought Kalmar—who was born in Uruguay to Austrian parents but studied and had his early career in Europe—not only to Chicago but to the United States for the first time and also oversaw the festival’s move to Millennium Park and the glorious new Pritzker Pavilion. It is Palermo’s expertise, commitment to American music and adventurous programming that continues to influence much of how Kalmar approaches artistic decisions for the festival. The season opens Wednesday night (June 15) as it usually does with a bang, with an all-French blockbuster program of Ravel’s Piano Concerto in G Major with soloist Jean-Philippe Collard and Berlioz’ “Symphonie fantastique.” But already the program of this opening weekend of the festival is slightly off the beaten path with an unusual pairing of Mendelssohn and Schoenberg choral works. “Where else but in Chicago could you hear a work such as Franz Schmidt’s ‘The Book of Seven Seals,’ for instance? That is a work that made an enormous impact on me when it was done in Vienna years ago and I have always wanted to do it.” The 1937 work is a vivid musical depiction of the Apocalypse for large forces that will be performed in August. There will also be an orchestra evening with jazz violinist Regina Carter, a Latin evening, an opera program with Lyric Opera’s Ryan Center artists, American choral evenings, big works like Mahler’s “Das Lied von der Erde” and the Verdi “Requiem,” and a program that Kalmar is particularly proud of that was planned in cooperation with the Polish consulate, a rare Chicago appearance by legendary Polish composer Krzysztof Penderecki conducting Beethoven and his own music. “Something for every taste,” assesses Kalmar. And despite the city’s cultural cutbacks, the Grant Park Music Festival remains, as it always has been, free. 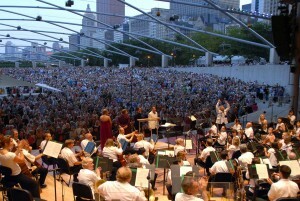 The Grant Park Music Festival takes place at 6:30pm Wednesdays and Fridays, 7:30pm Saturday, from June 15-August 20 at Millennium Park’s Pritzker Pavilion, with the exception of the week of June 28 and 30 instead of June 29, and some performances taking place indoors at Harris Theater. grantparkmusicfestival.com, (312)742-7638. Free.